Encouraging your children to brush can be a challenging feat, but with countless themed brushes and fun and engaging gadgets for them to enjoy, it has never been easier. It is important to instil a strong dental routine into your children at an early age in order to make sure that their teeth are as healthy as possible as they grow. However, services such as Emergency Dentist London are on hand to help you and your children should you need it. 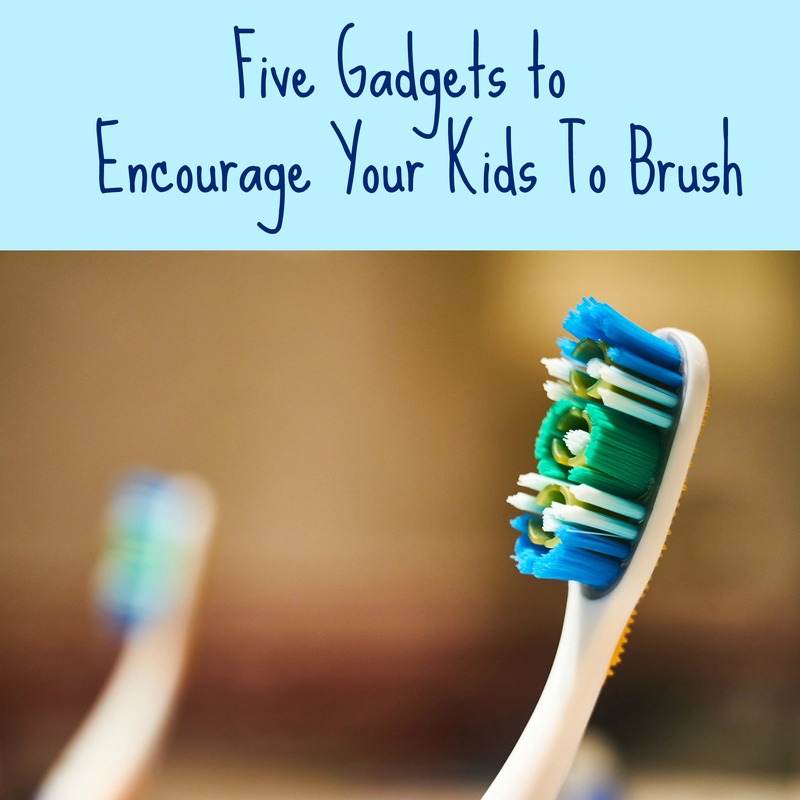 Here, we are going to look at five gadgets that will help to encourage your children to brush. This is one of the newer gadgets that has been introduced in recent years in order to get your little ones to brush. This small yet mighty gadget turns any manual toothbrush into a game for your little ones to play. This gadget allows them to travel around mysterious worlds as they brush, battling enemies and gaining rewards as they go, this is perfect as they are not only rewarded with the completion of a level, but all rewards are stored as stickers. This can, therefore, create a competitive element between siblings or friends, to promote teeth cleaning in a fun and creative way. The Arm and Hammer Spinbrush range has been carefully designed to dislodge all dirt and plaque and their kids range is perfect for encouraging your little ones to get brushing. Each one is targeted specifically at children through the use of their favourite characters, giving them the incentive to purchase this brush and to use it. The unique spinning motion of this brush helps to reach every surface of the tooth and gives peace of mind to parents that their children’s teeth are getting the best clean possible. This toothbrush is new to the 2018 market and uses facial recognition as well as AR to make the brushing experience much more fun. Your son or daughter will appear as though they are in a game, and they can then use the power of brushing to fight off enemies that appear on the screen, and win prizes as a result. This unique product is a way to make brushing fun for younger ones without the hassle of additional purchases along the way. This is a new and creative way of helping to promote healthy teeth and implement a strong routine within children of a young age. Toothbrushes are now also implementing flashing timers to allow even the youngest children to see when they can finish brushing. This can help to promote the full daily brushing time whilst making it fun! The lights that are within these timers come in many different colours, making it more customisable making it fun for younger ones who are getting there the first toothbrush. The batteries can often be replaced with ease, ensuring that this is something that is a more than worthwhile investment. This gadget has been around for generations but is now being used to encourage children to brush for a specific amount of time. By adding a theme to this method, it makes it more customisable and appealing to children, allowing them to be in control of their routine and giving them a sense of maturity and independence. In a similar way to the flashing timer, the sand timer allows children to ensure that they are brushing for an appropriate amount of time without it having to feel like a chore or a battle. Although getting your children to brush can be difficult, it is still a very important part of their daily routine. With each of the above products put into place, it is now easier than ever to put into effect a strong but enjoyable dental routine making the experience fun for everyone involved. Why not try it for yourself today?